Paulson’s out... But JP Morgan and Goldman Sachs Are in: Go Long Gold! Billionaire John Paulson, who lost over $700 million after April’s gold crash, has cut his holdings by half. As one of the last major institutional holders of gold ETFs, Paulson & Co.’s exit may signal the bottom in the gold market we’ve been waiting for. “Gold supplies could be constrained in September if labor strikes are initiated in South Africa. There’s typically some positive seasonality to the gold price in August/September helped by India, which is still the largest single (28%) gold market. “Often this strength correlates with the Denver gold conference. 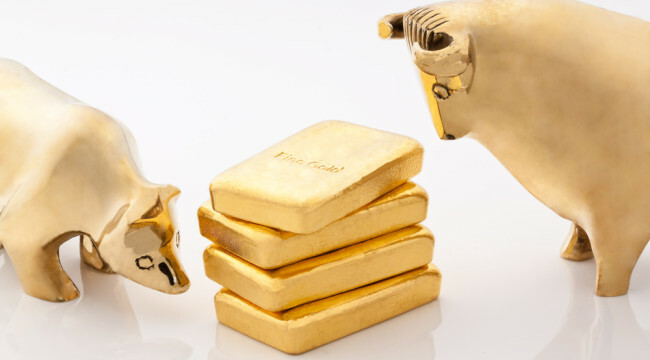 The conference attracts many of the larger gold investors, and given the other positives for the metal… we would not be surprised to see a stronger gold price in the run-up to the show. And Goldman Sachs recently increased its position in SPDR Gold Trust to 4.4 million shares… more than six times what it held at the end of March. The market is already taking notice. Spot gold blasted past its $1,350 resistance earlier today and is headed for higher ground. “It’s been a crazy ride,” says Greg Guenthner in today’s Daily Reckoning, “but the breakout is finally here. I expect gold to continue its volatile rise in the near term.” Greg recommends snatching up mining stocks. Matt Insley over at Daily Resource Hunter recommended mining company Franco-Nevada (FNV) on Aug. 14. P.S. Every morning, Greg Guenthner’s Rude Awakening examines the day’s market moves and shows you where to find opportunities in today’s volatile markets. Click here to get Greg’s tips delivered right to your inbox!